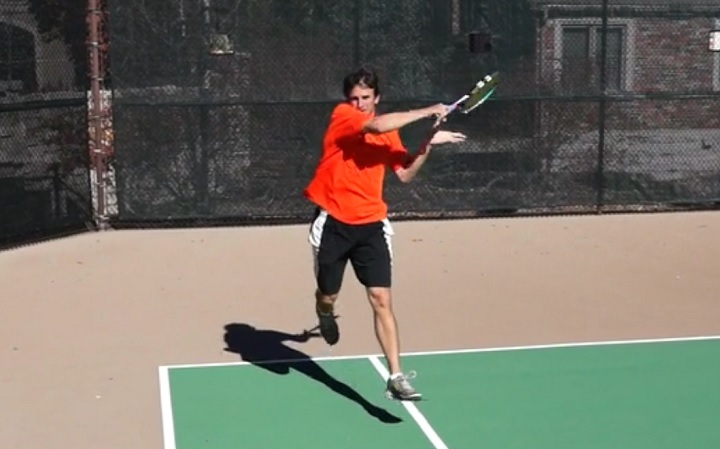 Are you ready to discover how to increase return consistency on your backhand? Many players have a tough time getting consistent depth, pace, and accuracy on their backhand returns. Especially players with a one handed backhand. Sometimes they hit a marvelous return. Other times, they hit a stinker. If that sounds like familiar, then I may have some solutions for you. 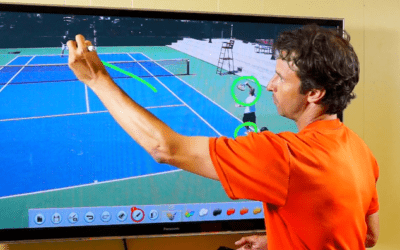 While it’s true that returning serves that go high to a one-handed backhand is more difficult than returning with a two-handed backhand, if you focus on these 3 vital elements – positioning, footwork, and technique – you will be neutralizing your opponents with consistent returns. 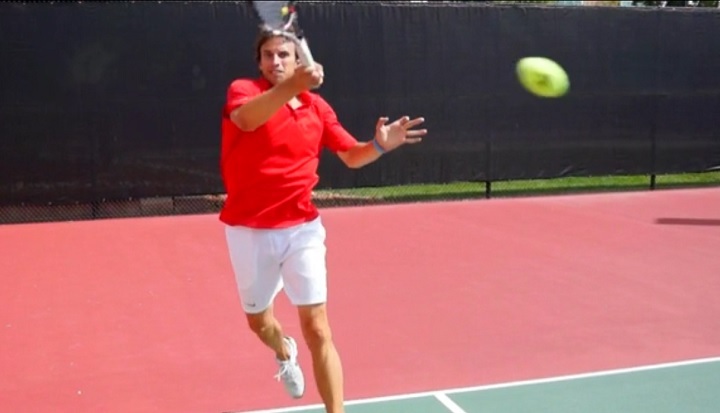 Here’s a few backhand return consistency tips to help make that a reality for you. You have two choices with your positioning on the high backhand return. The first choice is to step in and take the ball early. This is the more aggressive option. It will take time away from your opponent and let you rip the return. Make sure you step up as your opponent tosses the ball, and make contact with the ball well inside the baseline. Make sure to aim high over the net to get maximum depth. Your second choice is to move way back and hit a high, heavy return. This is a more neutral or defensive choice. When your opponent tosses the ball move several steps back and wait for the ball to drop before hitting it. This will let you swing low to high and get more rotation on the ball. Your footwork is very important on the return. If you want to take the ball early, you should use the back to front footwork pattern. Load up your back leg and then jump up, landing on your front foot. It’s very important to remember to make contact with the ball while you are in the air. This will ensure that you have good weight transfer through the ball and will create the drive and depth you are looking for. 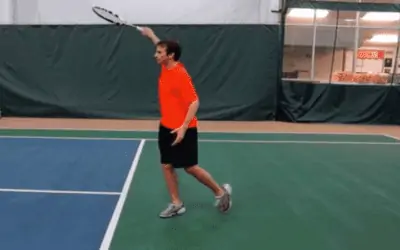 If you want to move back and let the ball drop, then you should either step in or hit off the outside leg, depending on where the ball is served. The key, whether you stand in or move back, is to have good balance. 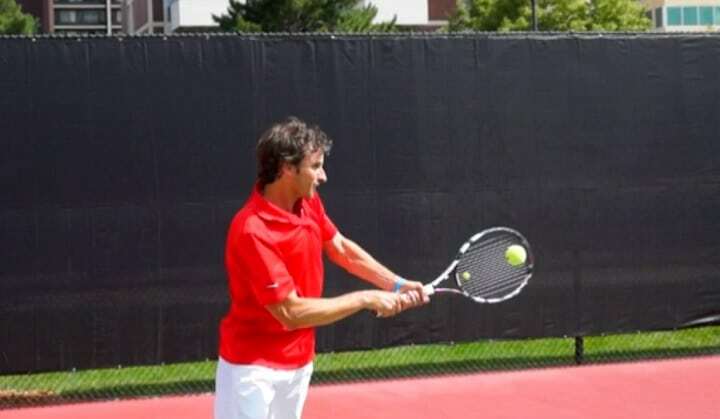 Last, but not least, you need to have the right technique to have a great backhand return. When you take the ball early you should swing and make contact around shoulder height, hitting more across on the ball. Also make sure to swing across your body and not low to high. This is because you want to cover the ball. If you move back you should do the opposite, and hit low to high putting nice topspin, and height on the ball. 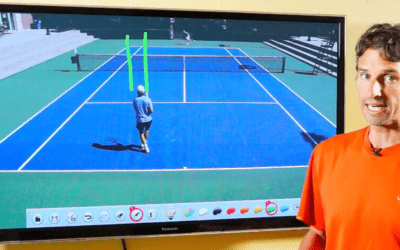 This will push your opponent back in the court and let you neutralize their serve. 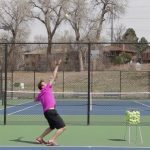 I hope you’ve found these 3 tips on how to increase return consistency on your backhand useful. Put them into practice, and the consistency of your depth, pace, and accuracy should improve greatly on your backhand returns.